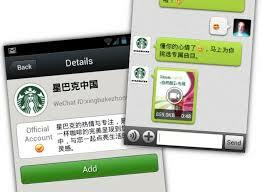 WeChat in China now a days is much more than a social networking platform for everybody. It is also a channel where business firms have the opportunity to meet WeChat’s 809 millions monthly active users and engage in branding and promotional activities. In fact, WeChat, is also an exclusive platform because users can only see what they subscribe to and follow. In order to maximize a company’s marketing campaign on WeChat, having as many followers as possible will be the key to success. The question is; HOW can you attract Chinese fans? How to boost your fan base on Wechat ! Based on our experience in the marketing industry, we now present 10 tips to successfully boost your following on WeChat. Innovation is the crucial part to all marketing campaigns in any industry. To attract attention from an online community, businesses must be creative in what they do. One successful example is Uniqlo in China. To boost their numbers of WeChat followers, Uniqlo launched a campaign, called “Style Your Life” to connect with customers in their brick-and-mortar shops and online stores. 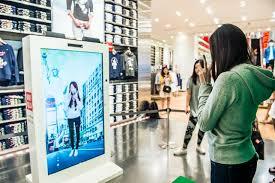 Uniqlo placed monitors in-store to take photos with backgrounds in Tokyo or London for customers after they try on different outfits which is then sent through Wechat, where people can share it. Online shoppers can also join this campaign by taking selfie with Uniqlo’s outfit and sharing then it on WeChat. This Style Your Life campaign successfully increased their number of followers on WeChat. They had 400,000 at the beginning of the campaign and over 1 million six months later. In addition to this success on WeChat, the campaign also increased the sales of key items of clothing by 30 % in stores and online. Shareable content is an alternative to word of mouth which in essence makes the content become more trustworthy and visible on the internet. 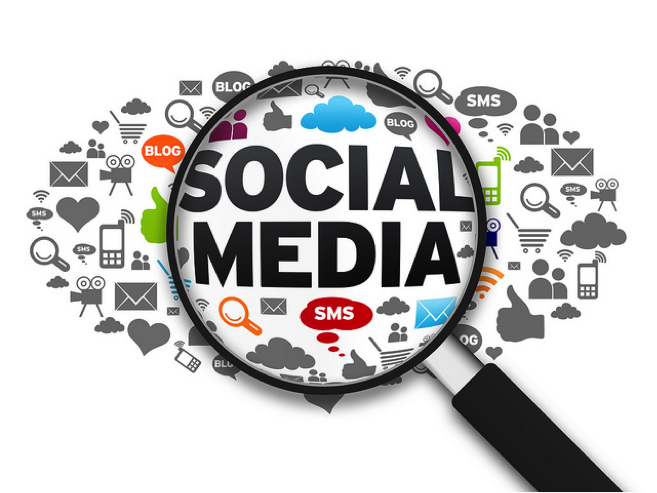 A company should adjust the content they share based on the culture and followers’ interests. We live in an era where visual and video content is much more effective than lengthy text. On McDonald’s WeChat account, you see that they share interesting content with customized menus alongside Happy Meal and Special Toy promotions. 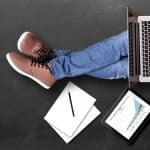 This kind of content includes many different elements that could successfully get the attention of its followers and encourage them share it in their social circle. Involving children in this way is a powerful marketing tool, especially now the one child policy has been lifted in China. 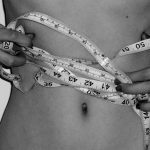 Of course there are some short cuts to boost your WeChat followers. 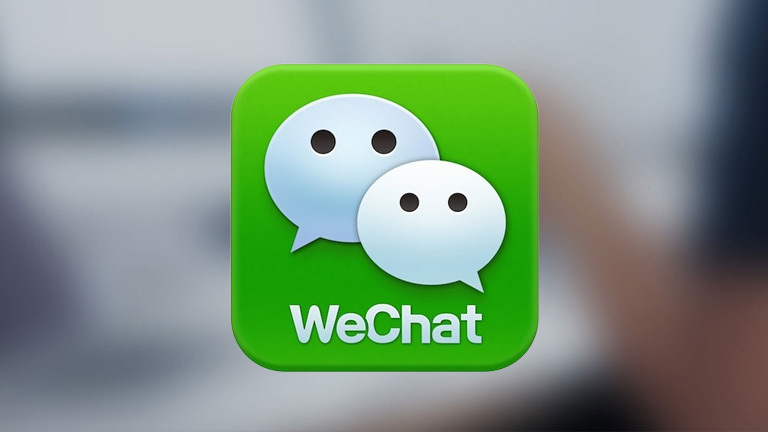 Business effectively can do it through partnership with other WeChat account owners who have a significant number of followers like celebrities (might be quite expensive) or internet celebrities (could be cheaper). Through these KOL’s (Key Opinion Leaders), your business account can be exposed greatly to the public which will boost your followers quickly. 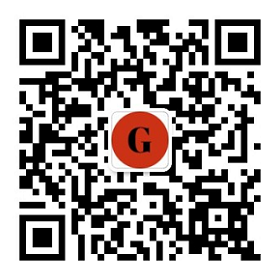 Check the following promotions which WeChat did with celebrities to boost its own user base. Spreading out your official accounts on other Chinese social platforms where your targeting community often visit is key. Platforms like Weibo and Q Zone are worth building a presence on. Weibo is a more open social platform than WeChat, it allows all users to see posts without having to subscribe or follow an official account. The most effective way is for businesses to engage in cross promotion on Weibo and Wechat to increase their visibility on the social media. Embedding QR codes in content to link between different social media platforms is a good way of doing this. Knowing the demographics and identifying your followers will help companies to better communicate with followers. Brands can start up a certain interesting conversation group via their official account where they can do specific promotion in an exclusive group chat. This tactic will increase the effectiveness of any brand’s marketing campaign since they understand the interests of their target audience. 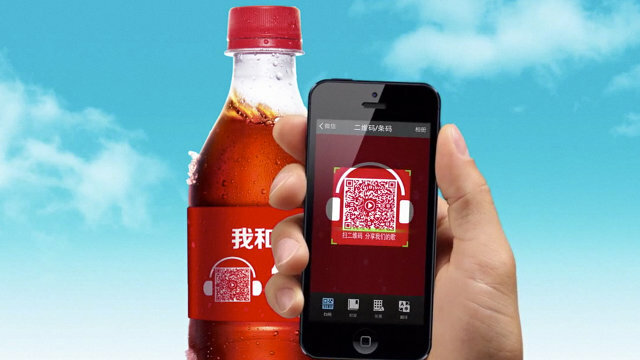 Combining the techniques of targeting groups and approaching individuals is effective, WeChat allows brands to be creative when interacting with followers. A campaign named “New Coffee definition” launched by Starbucks is an engaging activity where it starts up conversations with their account followers. Users will receive a message with a short music video based on what emoticon the user sends to Starbucks official account. 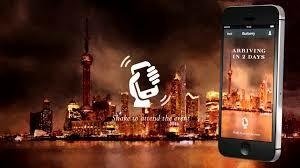 Events can be very broad, including trade shows, conferences, new product releases, it is a very good opportunity to broadcast your brands combined WeChat activites. 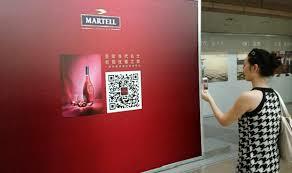 A simple series of topics with QR codes can explain more detail about your brand than you would imagine. It is also a cheapesr way to promote your official accounts while holding events to attract media attention. Another way could be using WeChat features to promote your special events. Like the campaign held by Burberry whom invites users to shake their smartphones on WeChat in order to attend a special event. It can be interesting for Users to see creative Html5 Game or Event. One of the WeChat tools allows companies to create small websites to provide a better browsing experience for consumers seeking information about them. The following example is by China Airline, it takes their users from a conversation mode ( photo on the left) to a small website (photo on the right) which is more user-friendly after clicking the booking ticket on the bottom of their WeChat account. QR codes are a very effective invention which bring businesses and customers closer than ever before. There are some important things you can learn to maximize the features of QR codes to further your marketing campaign on WeChat. If your company is involved in any type of sales directly, why not consider integrating your payment method with WeChat pay. It will enhance the users’ experience greatly with the payment simple and at their finger tips, they stay within the app for the whole process. 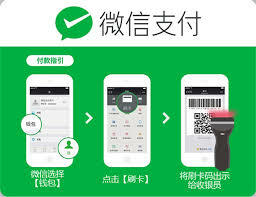 This feature is used by a massive amount of WeChat users in China in their daily lives. From the farmer market to the department store, WeChat pay has totally changed payment behavior in China. 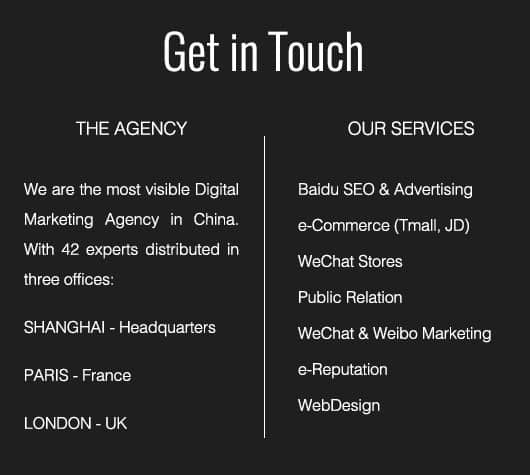 Need a Wechat Agency ? 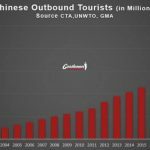 NextImported food market in China : the opportunities are online ! 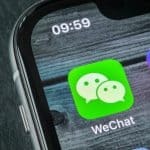 Does marketing to china provide wechat pay feature for subscription account?